An optimised design and manufacturing process developed by WMG enabled the researchers to replace the car’s current multiple-piece fabricated steel component with a single moulding - making a weight saving in excess of 4.5kg per vehicle, a 35% saving on the current part. This will result in CO2 savings over the lifetime of the vehicle, and the technology is appropriate for much wider vehicle chassis and body applications. 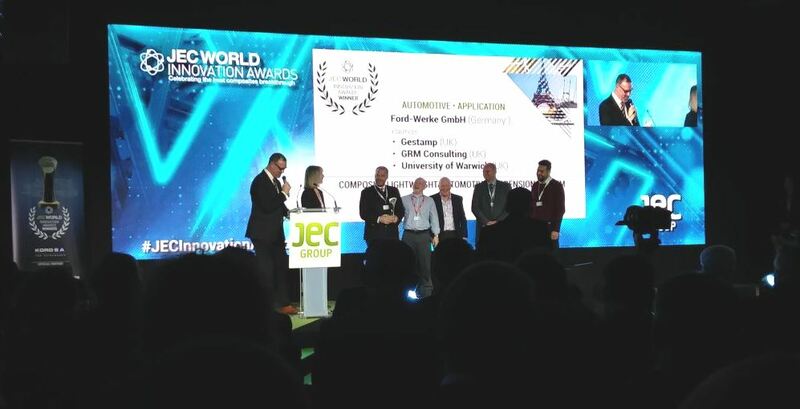 In March 2018, the CLASS project won a JEC Innovation Award, in the Automotive Innovation category. Researchers at WMG carried out materials selection by moulding test plaques and measuring material performance characteristics. This was fed into the design of the part, carried out by Gestamp, before optimisation of the design, carried out by GRM. Additional moulding trials carried out by Ford and WMG using a surrogate geometry at Ford’s Research & Innovation facilities provided the required design for manufacture input which was used by Gestamp to further optimise the design. The complex part has a large number of attachments and must be able to withstand severe in-service and abuse loads. The final design utilised the performance and processing properties of combined continuous and discontinuous carbon fibre composite materials. “The CLASS project is the first collaborative project completed through the Automotive Composites Research Centre, and shows the strength of expertise and excellence of our facility. “Working with high volume OEM and Tier 1 partners such as Ford and Gestamp is at the heart of our activities, and we were able to provide the CLASS project with our expertise in materials characterisation and selection, design for manufacturability, and manufacturing process development. “Our extensive and comprehensive facilities provided us with the capability to manufacture the tieblade/knuckle in-house in production representative processes ready for transition to our Tier 1 partners. Making cars lighter to improve fuel economy and reduce CO2 emissions is a continuing challenge to automotive OEMs. Weight reduction efforts usually target body components, as these typically have less demanding design and service load requirements than powertrain or chassis applications. Reducing unsprung mass in chassis application has the additional benefit of improving vehicle ride and handling and, while composite suspension components are common in motorsport, to date they have not been used in mainstream automotive applications. The CLASS project set out to investigate the potential benefits of doing so. “The project was extremely difficult to bring home successfully due to the complexities of the design and manufacturing processes. It was through WMG’s expertise, world-class facilities and capabilities that the project was able to be completed on time. 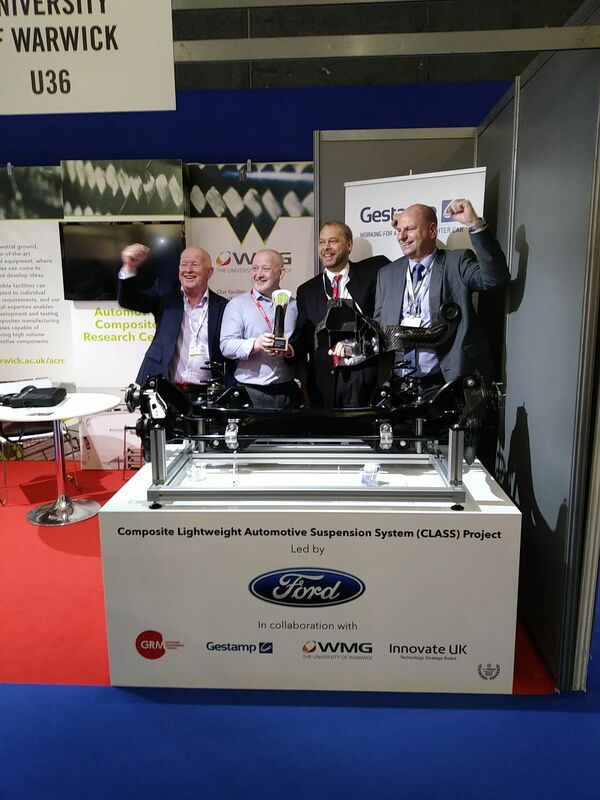 Image 1: Members of the Composite Lightweight Automotive Suspension System (CLASS) project at the JEC Innovation Awards in March 2018. Credit WMG, University of Warwick - click image for high res. Image 2: The CLASS project winning the JEC Innovation Award in the Automotive Innovation category, March 2018. Credit WMG, University of Warwick - click image for high res.